Hello and thank you for visiting! It is our goal as your full service real estate company specializing in Eau Claire, Altoona, Fall Creek, and Chippewa Falls areas, to provide you with superior service at all times. Our local expertise and extensive real estate experience will benefit you whether you are serious about buying or selling a home at this time, or are a returning client checking out the many homeowner resources we offer. WELCOME to the Chippewa Valley! We would be happy to help with all your Relocation needs. Our experienced Real Estate Agents will guide you through the process step by step. We can recommend a Realtor in your area to sell your current home. We’ll help you find the perfect new home for your needs and even help to find temporary housing for you if you are in a fast-paced relocation situation. We will be proud to introduce you to our communities and our many unique amenities. Our world class medical centers, nationally recognized university, revitalized and energetic downtown, fabulous farmers market, and so much more await you! We can recommend a Realtor for you to find your ideal new home in your new city. Meanwhile, we will professionally market your current home with a goal of the quickest and easiest transition possible for you. We appreciate the opportunity to continue to serve you and hope you take advantage of the valuable resources we provide. We consider the communities of Chippewa Valley an excellent place to reside and would love to share with you the enthusiasm for the many neighborhoods that encompass it. We pride ourselves on providing unparalleled service and look forward to developing a long-term relationship with you. Please feel free to contact us if your would like to discuss how we can best assist you with your Eau Claire, Altoona, Fall Creek, or Chippewa Falls real estate needs. 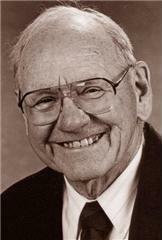 Founder of Kleven Real Estate, Inc.
John August "Jumbo" Kleven was born February 17, 1914, in Black River Falls. His father was from Norway and his mother from Sweden. He grew up on the banks of the Black River, attended Black River High School and played football, basketball and baseball for Black River Falls. John was elected Sheriff of Jackson County at age 26, the youngest ever elected in Wisconsin. John married Lorayne Hanson on May 17, 1941, and they had three sons, Erik, Rolf and Arne. John served two terms as Sheriff and then served four years in the US Navy. He moved to Eau Claire Wisconsin in 1949 as manager of the Electrolux Corporation. John started Kleven Real Estate in 1959 and was Chairman of the Board of the firm. John was voted Realtor of the Year in 1964, served as President of the Eau Claire-Chippewa Board of Realtors and was 6th District Vice President for the State Realtors Association. In 1998, John received a 50 year distinguished service award from the Eau Claire Chippewa County Board of Realtors, the only time this award has ever been given. John's many interests included time with his family and friends, teaching Sunday school and Bible classes, playing cards and golfing. He was a lifetime member of Hillcrest Country Club and hit 3 holes in one. John enjoyed watching and discussing the Green Bay Packers-of which he was a proud stockholder in. He was also a member of Kiwanis. He loved his work in real estate, and was dedicated to coming into the office every day until the day he died at age 84. He was very busy being a Notary Public, delivering the deposits to the bank, running the Tuesday morning sales meetings while giving his words of wisdom, organizing the For Sale signs in the "lab", planning year round for the Kleven Christmas parties, nibbling on Jubes-his favorite cookie, and he was, of course, the famous reporter and writer of the monthly "Kleven News" of which he had many loyal fans. John was dearly loved, and is sadly missed by all of us at Kleven Real Estate. John radiated love and care to everyone at Kleven, and treated us just like family. He was the most kind, sincere, and caring person anyone could know. We miss his leadership, sense of humor, big smile, and his way with words. John meant so much to all of us, and we can only say how proud we are to have worked with such an honorable and respected man.